Ben asked: We have runners on 1st and 3rd, one out. 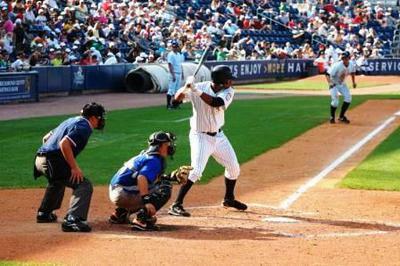 Ball is hit in the air to second baseman. Runner on 3rd tags and scores at home. Runner on 1st advances to 2nd but didn't tag up. Before the next pitch is thrown, pitcher throws ball to 1st, umpire calls him out for not tagging up. So does the run count or not? Rick answered: Ben, thank you for your question. (1) After a fly ball is caught, he fails to retouch his original base before he or his original base is tagged. The run should have scored. The runner from third tagged and went on the catch. The defense then appeals the runner who is now on second, umpire calls him out. Run had already crossed the plate legally.